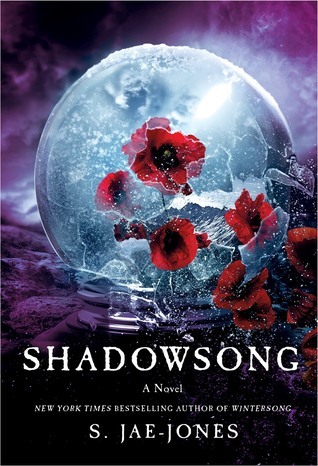 While I am very happy with the way Shadowsong ended, it took a lot to get there. A lot of stress and heartache, and more pacing. After we were left with our hearts on the floor, by the ending of Wintersong, I needed this book to put me back together. While Wintersong was about love, Shadowsong was about healing. Healing of families. Healing of hearts and healing of minds. I didn’t know what I was getting myself into, when I first started. But soon I realized that this book was going to be nothing like the first. In fact, when I read the author’s note, I knew this was going to be totally different than the first book. We rarely saw the Goblin King, but I understand why. It wasn’t really about him. It was about Liesl’s and her brother, Josef’s journey. They both are broken and troubled and trying to discover the pieces they need to put themselves back together. My heart was breaking for both of them. In the first book was find out why Josef is struggling. He is different but he doesn’t know it. Liesl needs to help him, while also helping herself. This book was harder to read than the first. It was making me manic. The twists and turns of Liesl’s world had me reeling right along with her. My heart was breaking. My soul hurt. The world is falling a part and she’s the only one who can stop, but she doesn’t know that. And when she does, she has to make sacrifices that don’t only affect her, but her loved ones as well.